Have you ever wondered how God sees you? Have you ever wondered what God would say to you? This book is a must for anyone who has wrestled with doubting their own worth and value, or anyone who has a difficult time believing God loves them. You will never be the same once you begin to understand God's incomparable and unending love for you. The revelation of God's love for you found in the Song of Solomon is life changing!! 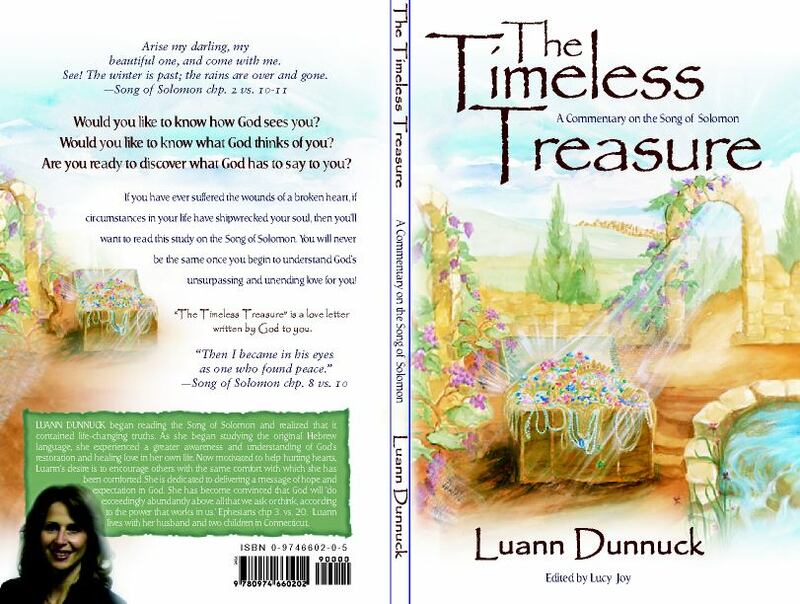 The TIMELESS TREASURE IS A LOVE LETTER WRITTEN FROM GOD TO MAN! "Then I became in his eyes as one who found peace". Song of Solomon chapter 8 verse 10. Motivated to help other hurting hearts, Luann is taking the same comfort she has been comforted with to others. She is encouraging others to believe that God will "do exceedingly abundantly above all that we ask or think, according to the power that works in us." Luann lives with her husband and two children in Connecticut.